As an active member of several professional organizations, Page Allen stays well informed on the changes taking place in the laws of the Commonwealth. S. Page Allen is a 1980 graduate of Westhampton College of The University of Richmond and a 1983 graduate of the T. C. Williams School of Law. 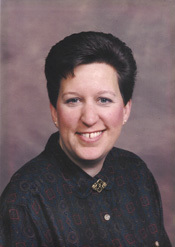 She has been in private practice in the Richmond area since 1987. She is managing partner of S. Page Allen & Associates, P.C. where she focuses primarily on residential real estate. Her practice also includes Section 1031 Exchanges, business entity formation and estate planning. Ms. Allen is a member of the Virginia State Bar, and the Richmond Bar Association, where she served on the Executive Committee and was a past Chairperson and Treasurer of the Real Estate Section..
A native of Richmond, Ms. Allen resides in Powhatan County with her husband and their two sons. She is an active member of Emmaus Christian Church. Click here to e-mail Page Allen. Your purchase of a home will require you to take on major financial and contractual responsibility. Ms. Allen will make sure you understand all the facts before you make a final commitment. Home ownership is one of your most valued assets. Making certain the title to your property is clear of any encumbrance is an important task for your attorney.